During the coal mining years, Christmas in Drumheller Valley was not only a time of good cheer, but also of hope. As the cold weather set across the prairies, the rush of winter coal orders streamed in and the miners were offered as many shifts as they could take. This greatly contrasted the long summer layoffs when no income for half the year meant stretching every dollar and every penny as far as a family could. By Christmas, the cheques were rolling in and a portion of that long anticipated pay was set aside to celebrate the season. It is said that when it was 40 below on the prairies, the happiest people around were the mine operators and the coal miners. A cold snap meant brisk business. However, coal mining was also a dangerous job. For many years it was the most dangerous occupation in Canada. Every mining season in the valley, thousands of men went into the deepest recesses to extract Drumheller coal. This is the coal that kept Canadians from western Ontario to Saskatoon to Dawson City to Vancouver warm in the winter. Every year, these men risked their lives, and unfortunately, some lost their lives. 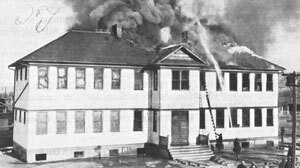 Between 1920 and 1961, at least twenty-six Drumheller Valley coal miners were killed in the month of December, the month of Christmas. Most of them were killed between December 5 and December 21. The week before Christmas seemed to be the deadliest. 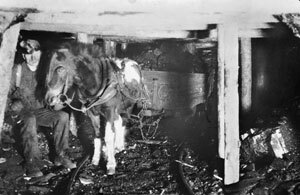 On December 17, 1926, pony driver Thomas Roddy was driving a loaded car at the Caledonian Collieries in Midland, when he fell under the loaded car he was hauling, receiving a broken neck. He died alone underground, in the pitch with no witnesses. That same day, just a half mile down the road at the Western Gem Mine in Midland, pony driver F.W. Brereton was crushed between loaded cars and coal rib, dying within minutes of the accident. Three years later, almost to the day, a similar tragedy unfolded again in Midland. On December 18, 1929, Thomas Campbell, a pony driver at the Western Gem in Midland was killed when his pit pony was spooked by a derailed coal car and continued to pull it, accidently crushing her driver between the coal car and a mine prop. Meanwhile, at the neighbouring Hy-Grade Mine, young coal miner Martin Mehalski was crushed by rock-fall. During these early years of Drumheller’s history, the companies did not offer any recompense to the families these miners left behind. Instead, the community often banded together to help in anyway they could. Neighbours, fellow miners, the unions and even the local Madams were the ones to offer food, money, and a shoulder to lean on. Madam Mary Roper and her girls were known to hire a cab and fill it to the headliner with groceries, blankets, medicine, etc. and send it to a family facing terrible tragedy, an act of kindness that is still remembered to this day. The steady trickle of tragedy surrounding the pit heads of Drumheller Valley eventually became called the blood tax. Some years the blood tax we paid was very dear. In 1925 alone, at least a dozen Drumheller miners were killed and another 50 seriously, often permanently, injured. In 1926, three miners were killed mere days before Christmas Day, leaving behind young families to face their first Christmas without their father. 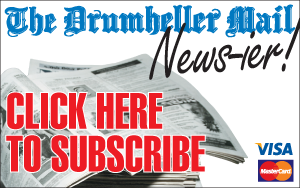 Today, Drumheller is a successful and prosperous community. Luckily, our young men no longer need to risk their lives by digging the deep. Our coal is no longer required to fuel the development of a great nation. But for generations, Drumheller coal was needed to run the trains that brought immigrants out west. Drumheller coal was used to heat our homes, it cooked our meals, and turned on our lights. 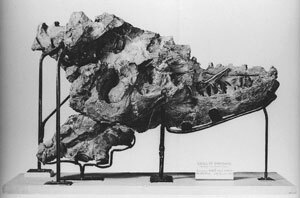 Drumheller Coal was vital to the development of western Canada. Thus it can be said, that the wealth and prosperity we take for granted today, is largely due to the blood tax paid by those coal miners and the families they left behind. Every Christmas, there was hope and optimism in the mining towns that populated the Drumheller Valley. But in the back of everyone’s mind was the knowledge there was risk working underground.